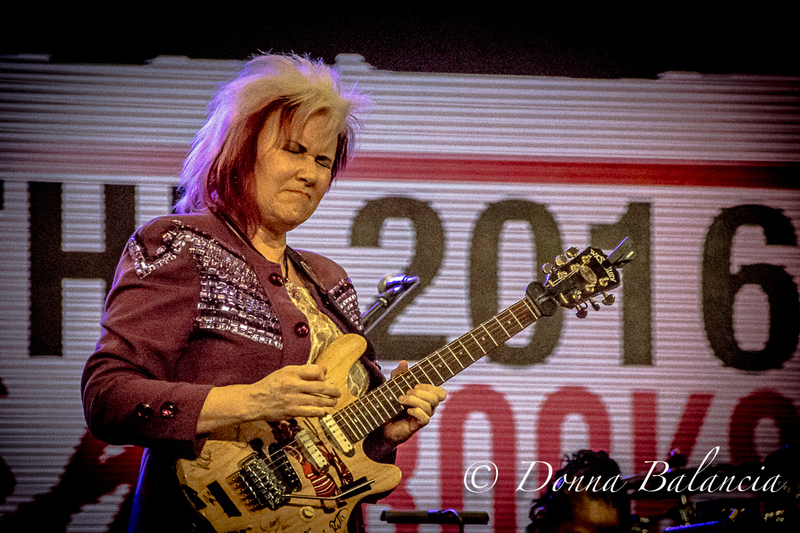 By DONNA BALANCIA – Guitarist Jennifer Batten, Chaka Khan and a host of women in rock were honored at the annual She Rocks Awards presented by The Women’s International Music Network. Co-hosted by WIMN Founder Laura Whitmore and guitarist Nita Strauss, the awards gala paid tribute to a range of women in the music business. “This is a great honor and I would like to thank the organization for the award,” well-known singer-songwriter Khan told the audience. 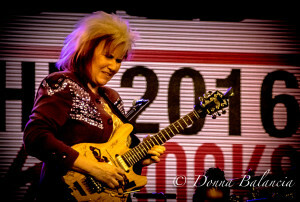 Known for songs like “I’m Every Woman,” Khan was treated to a performance of some of her tunes by the house band, Rock Sugah, as she enjoyed an evening with friends. 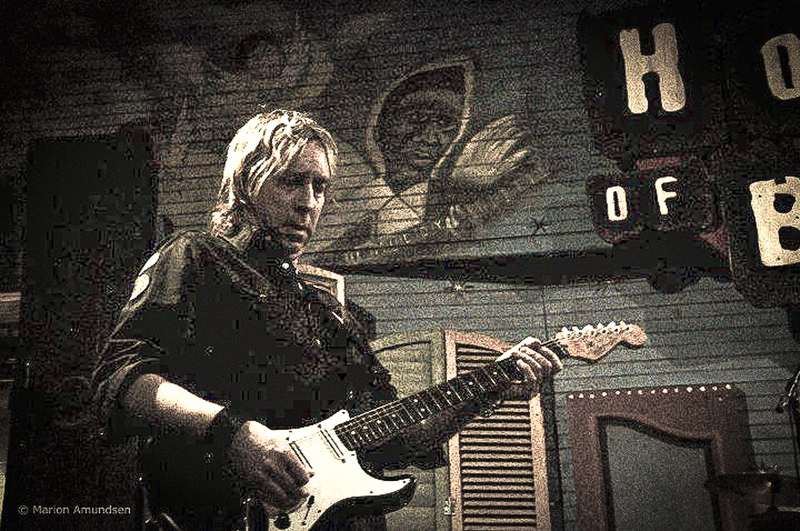 Guitarist Batten who has worked with the best in the business, including Michael Jackson and a host of others, was humbled by the award and showed the audience a few licks in a special performance. 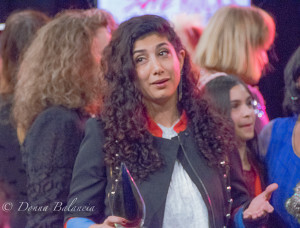 Raining Jane band members Becky Gebhardt and Mona Tavakoli were honored for Rock Camp for Girls L.A., which they formed to introduce young girls to music education. The camp has been succesful on several levels: Young girls who have never picked up a musical instrument learn about music. If they can’t afford to go, scholarships are available and the Raining Jane gals hold a Women’s Rock Camp to raise money for the young girls’ camp. Chalise Zolezzi, director of brand communications at Taylor Guitars; Mary Luehrsen, executive director of NAMM Foundation and Crystal Morris of Gator Cases also received statuettes early in the evening. 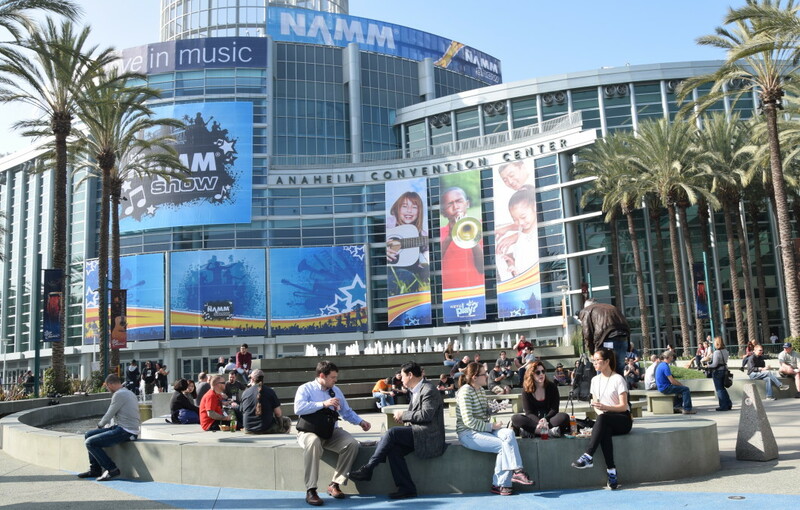 Others receiving awards were Mindy Abovitz (Tom Tom Magazine); Cathy Carter Duncan (Seymour Duncan); Leigh Maples and Pamela Cole (Fanny’s House of Music); Leslie Ann Jones (Skywalker Sound), and Sujata Murthy (Universal Music). The surprise honoree was Tom Gilbert, Creative and Marketing Manager for Mad Sun Marketing and co-producer of the She Rocks Awards. 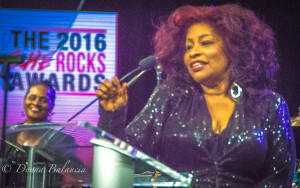 Performers included singer songwriter Amy Heidemann, Malina Moye; The Command Sisters; and the house band, Rock Sugah, which is comprised of Divinity Roxx on bass, Kat Dyson on guitar, Benita Lewis on drums and Lynette Williams on keyboard.